Whisk the egg whites until soft peaks form. Whisk together the egg yolks, quark, sweetener and vanilla essence in a separate bowl and fold in to the egg whites. 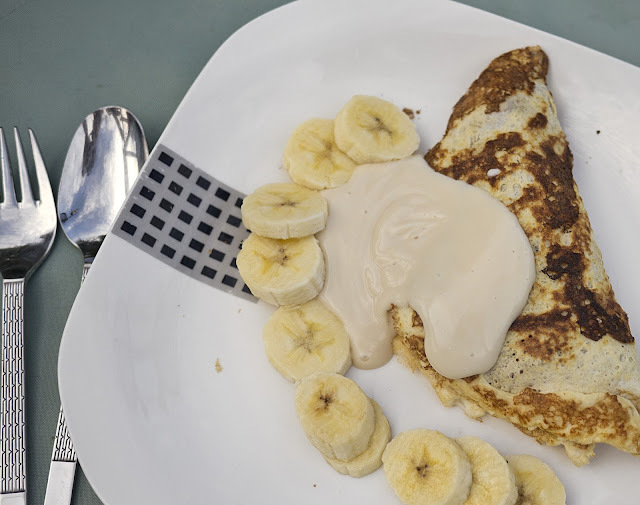 Heat a frying pan with Fry Light and pour half the mixture in – the batter will be much thicker than normal pancake batter so you will need to spread it out using a spatula. 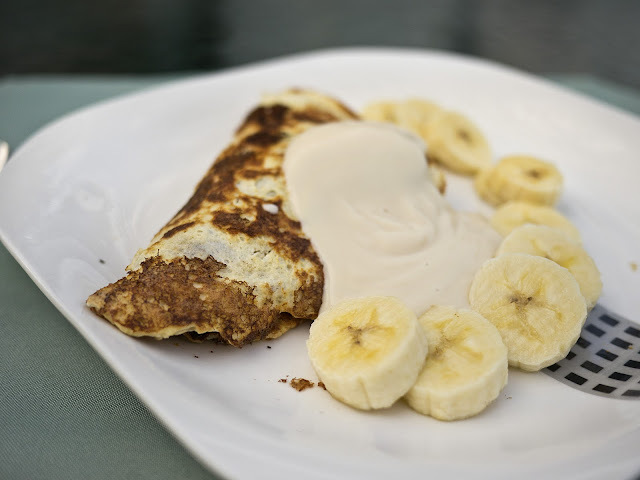 Cook for a couple of minutes until set – do not be too impatient as it seems to cook slower than normal pancakes – then carefully turn and cook for another couple of minutes on the other side. These pancakes are quite fragile, so it pays to be gentle when you turn them. 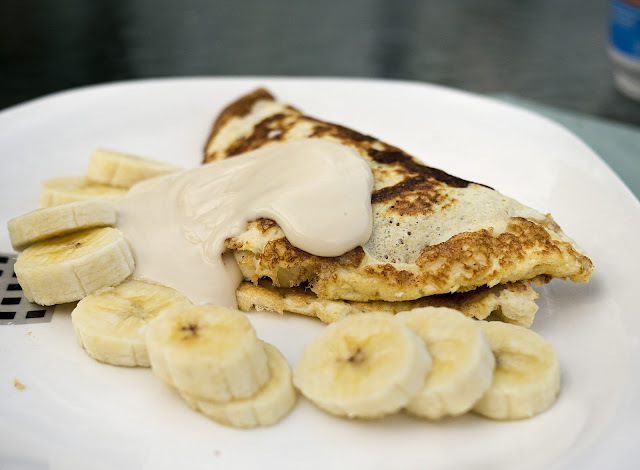 Fold the pancakes on to a plate, add the sliced bananas and top with the toffee yogurt.